I recently adapted one of my favorite old Everyday Food recipes so I could make it in the slow cooker. Basically, put everything in the Smoky Beef Taco recipe in the slow cooker on low for 6-8 hours and you’re done! Check the beef for tenderness and shred-ability at 5 hours and you’ll know how much longer you have to go. 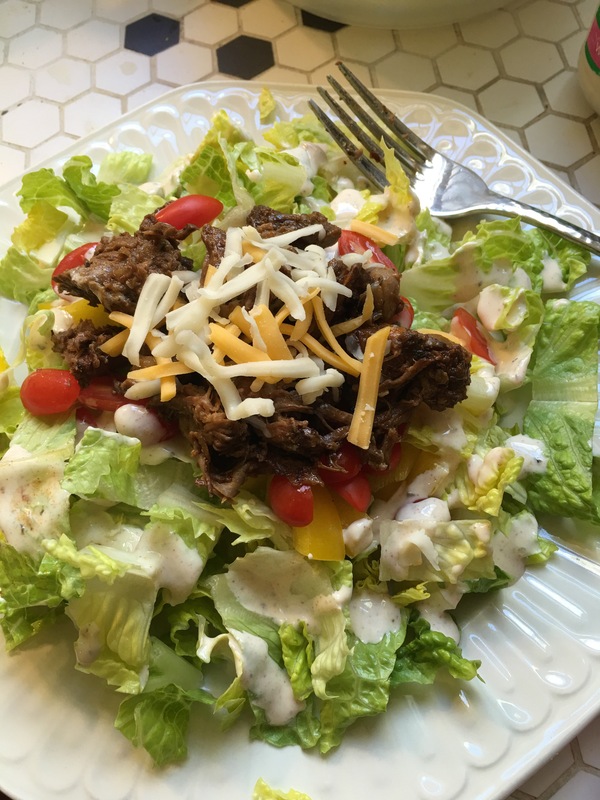 I like tacos as much as the next person, but I also love taco salad on crisp shredded romaine with lots of chopped fresh vegetables and a flavorful sour-cream based dressing. After a taco dinner night, for lunch, I heat up some leftover beef and make myself a big plate of delicious. 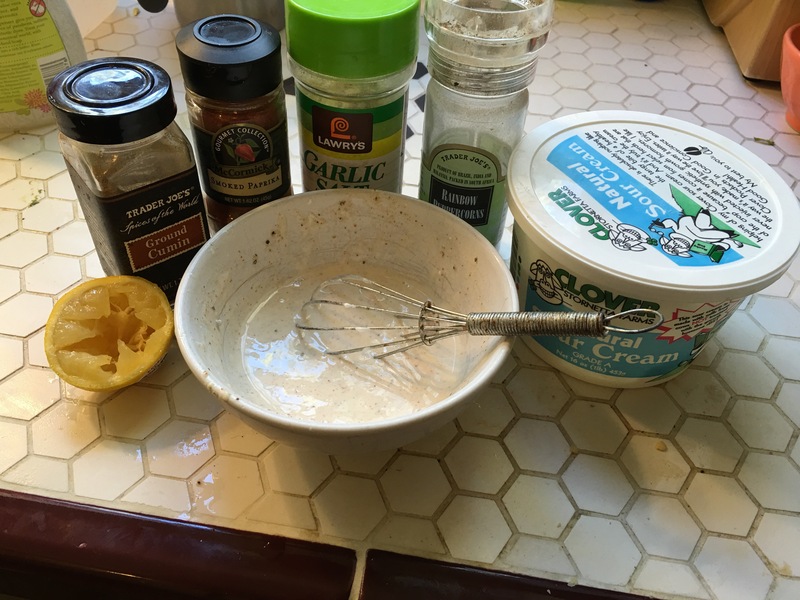 Stir ingredients together until smooth. Taste to check flavor balance, adding additional lemon juice or agave if too sour or too sweet. Thin with lemon juice or cider vinegar if you like a more pourable dressing. I find the beef spices things up nicely, but if you like it really hot, add 1/4-1/2 tsp dried chipotle chile powder. Makes enough for two generously dressed main-course salads.